Smartphone fans have been keenly awaiting the release of Samsung’s latest offerings – the Galaxy S6 and the Galaxy S6 Edge. They’ve finally washed up on our shores, but are they must-have devices or have they missed the mark? The design of the S6 is a great leap from the S5. The plastic is gone, the profile is slimmer and it’s just nicer to hold. The highly detailed design results in a beautiful device to look at and use. The only aspect I didn’t like was the separate volume keys. Rocker buttons, where you “rock” the key up or down, are my preference. The screen is super sensitive. I found myself accidentally opening apps and emails until I remembered to be gentler using it. It has an octo-core processor, which meant the phone could easily perform multiple tasks such as streaming music and checking email simultaneously without any lagging. The S6 offers a range of storage options, with 32GB the smallest size available and 128GB the largest. Be aware though, there is no micro SD slot so you can’t expand the storage space. I found it easily synced with my cloud storage accounts and its 4G connectivity quickly backed up the phone’s files. It also took clear and crisp pictures. One part of the design I found annoying was how much the camera stuck out the back of the phone. This caused the camera to wobble on flat surfaces. The fingerprint scanner is a massive improvement on the Galaxy S5. Unlocking was quick and there were hardly any misread inputs, though this feature struggled when the phone was upside down. The S6 comes with the Samsung S Health app, which records activities such as steps, time of activity, and sleep. It also has a sensor that tests your heart rate and stress level. The heart rate check was quick, but the stress test took much longer. 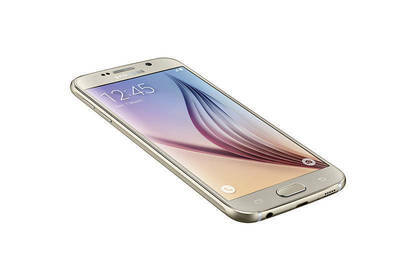 The Samsung Galaxy S6 has all the connectivity, features and performance I expect in a high-end phone. With a sleek and solid design, it was a pleasure to use and I would happily trade my phone for it. 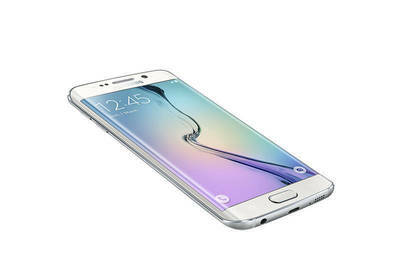 The S6 Edge has everything you’d expect from a top-of-the-line smartphone. It has an amazing screen in terms of vibrancy, colour and resolution, it takes great photos and performs tasks super-fast. But its point of difference is that curved screen, so how does that work out? Holding the phone is weird. The Edge is the first widely released phone to have a curved front and a flat back. When you hold it, the sides feel almost sharp. I passed the phone through a few sets of hands in the Consumer office and came to the conclusion that the curved edge makes it slightly harder to reach across the screen with your thumb. It certainly looks nice though. The Edge’s camera sticks out from the main body, so if you place the phone on a table it wobbles. However, it’s still useful when face down. The edge of the screen glows when you receive a call or notification and you can set a colour for certain contacts. For example, if your partner calls it’s blue, but if the office rings it’s red. 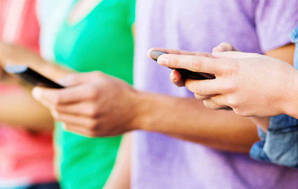 If you do have the phone on its back the edge of the screen can work as a clock or news ticker. Rubbing it back and forth brings up a short weather report. You can then swipe to scroll through tailored news feeds. I’d like to say this was a useful function, but it wasn’t. I only had about a 25 percent success rate in getting the ticker to show. When it did work, the feeds would only run for a short time before the screen turned off. You can also set the clock to display along the edge during certain times of the day. This was OK but not life-changing. As with the regular S6, the Edge has wireless charging built into the device, which is an excellent innovation. The near field communication technology has also been updated, this was the first Android device I’ve set up that allowed phones to transfer information by tapping them together. I was impressed with the fingerprint scanner, which is a massive improvement on the Galaxy S5. Unlocking was quick and there were hardly any misread inputs. Sound quality was disappointing with a distinct lack of power in the phone’s speaker when playing music and videos. But really I can’t find much to criticise the Edge about. It’s a good fast smartphone, with a great screen and a weird gimmick. It’s not game-changing but the Edge stands out from the crowd. By Erin Bennett & Hadyn Green.